This Mortal Coil - It'll End In Tears. Vinyl LP, CD. Bleep. 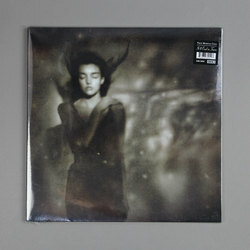 Reissue of This Mortal Coil’s important debut LP here. Originally released in 1984, It’ll End In Tears acted as both an advert for 4AD Records and an announcement that the young imprint was here to stay. Under the guidance of 4AD boss Ivo Watts-Russell a cast of label favourites created an album of Gothic dream pop that paved the way for the success of figures like David Lynch. Looking back now, It’ll End In Tears’ credits read like a ‘who’s-who’ of the ‘80’s underground - Cocteau Twins, Dead Can Dance, Colourbox and Howard Devoto are just some of the artists to appear.